If you are concerned about the growing cost of electricity, you are not alone. As resources become more scarce, your local utility company will just keep raising prices. Not to mention that burning fossil fuels, how we get our energy, is very bad for the environment, and one of the biggest causes of the disappearance of the ozone layer, contributing to global warming. A great answer to this problem is installing solar energy systems. More and more residents are turning to solar energy systems in Santa Monica. A Los Angeles construction company gives you a good overview of the benefits and disadvantages of solar systems. Have you ever driven by a house that had panels on its roof? That house has solar panels that provide electricity needed to run that household. A solar panel consists of solar cells that get energy from the sun’s rays, and then transmit that energy to your household so you can watch television, run your dishwasher, blow-dry your hair, etc. Because no fossil fuels are required to use the solar energy systems in Santa Monica, they are great for the environment. On top of saving money each month on your electric bill, you will know that you are reducing your carbon footprint by making your household independent of fossil fuels. While these types of fuels become more and more scarce, the sun’s light doesn’t diminish, and using the sun’s rays to power your home doesn’t take anything away from anyone else. Like most things, installing solar panels in Santa Monica can also prove to have its disadvantages, states your local Los Angeles construction company. First of, it can be expensive. 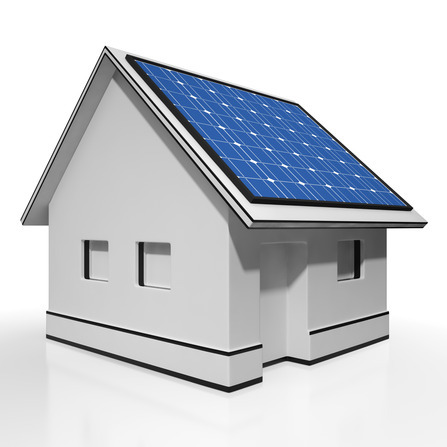 Purchasing solar panels for your house can cost upwards of $25,000. Even with current rebates from the government, you will still need an initial investment of thousand of dollars. Solar panels are not as reliable in cities with cloudy or rainy weather. Since solar energy depends on the sun to power your home, if you live in a place that gets little sun, or has unpredictable weather, you may not get as much solar power as you need all the time. Therefore, you may still need to rely on your electricity company in these instances. If you have a large home, or need to power a lot of electronics inside, you will need many solar panels and also a large battery. The battery stores up solar energy during the day, and uses it at night. However, these items are bulky and require a lot of room. Furthermore, solar energy in Santa Monica requires the updating and maintaining of solar panels, which deteriorate in the sun. Changing them out is expensive. The batteries are usually not covered under the warranty for the panels, so that is an extra expense. Therefore, while there are advantages or disadvantages into installing solar energy systems in Santa Monica, we urge you to do the research and figure out what works best for you and your family. Busch Design Build, Inc. is a Malibu based global design firm that has been providing architectural and landscape design services for over twenty years. If you would like to learn more about our green design services please contact us at your earliest convenience via phone or e-mail. We also offer a wide range of other green services, including: Malibu Green Remodeling, Malibu Chemical Sensitivity Construction, Malibu EcoTech Build, Malibu pH build, and Malibu Eco Construction. © 2019 Busch Design Build. All Rights Reserved.